Creating a Backup is one of the most important things of most Android users and as there are thousands of mods and hacks available for the Android OS, users need to create regular backups in order to restore their files and settings. Also, backups are needed in order to update certain phones as data is usually lost when you update your phone. Nandroid backup is probably the most used type of backup for Android users as it backs up every single thing on the Android OS and when you restore it, the phone gets back to the exact same state. Even though Nandroid backups are very useful, you need to have CWM recovery installed and creating/restoring the backup takes a lot of time. For people who don’t want to backup every single system file of their phone, a new backup app is available for the Android OS. 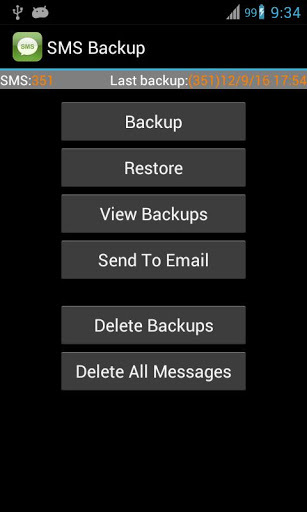 Super Backup is a handy android application which can create and restore backups quickly, without having to boot in recovery. Firstly, you can backup the basic things including messages, contacts, bookmarks, calendar entries and settings. You can create such a backup if you want to start fresh with your phone after a factory reset. The backup files are stored in the SD card, which can be restored later. Secondly, you can also backup and restore applications. 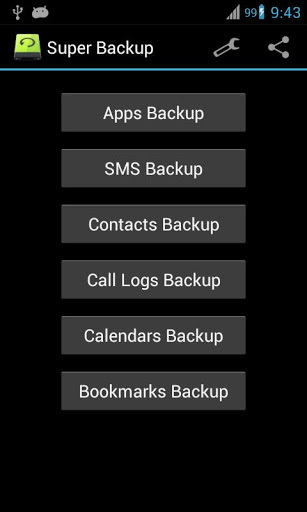 There aren’t many good backup utilities available for Android which can backup and restore batch applications. Apart from these basic features, you can also schedule automatic backups and can restore these later. The app also lets you delete previous backups in order to free up space. Super Backup can also automatically upload your backup files to your Gmail account, in case you wipe everything on your device including the backup files. You can download Super Backup using this link. Root access is needed for some features like creating backups of batch applications.